Many don’t pay attention to How to apply lipsticks correctly, infact many are not even aware of the fact that you have to apply lipstick in a certain way. In today’s beauty article we will tell you tips for applying lipstick correctly. Since there are zillion shades of lipstick out there in the market, and among those enormous shades some times the bright shades are in fashion and sometimes the pastel one’s. I would be a shame if we do not apply those shades. By applying i mean if we do not know the right way to wear those shades, there are different ways to wear different colors of lipsticks. There are some things which you need to keep in your mind while applying these lipsticks. 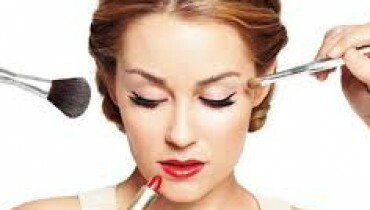 Following are the things you need to have while applying the lipstick correctly. The first thing is pretty obvious, it the lipstick itself. And last but not the least the LOVE for makeup. These are the ingredients for applying the lipstick to perfection. The first tips among the tips for applying lipstick correctly is that you should line your lips with the lip liner. Make sure that the lip linear is a shade or two darker than the the lipstick you are going to apply. 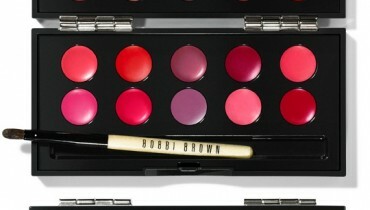 By applying the lip linear, you make sure that the lipstick does not bleed out and stain your skin in the process. If you want you can also choose a color that is lighter, or a different shade all together, but make sure that they go together. Like a red would do well with a maroon or a dark pink. The second thing is that apply the lipstick evenly over the whole lips and take the soft cloth and blot it. How you bolt ? all you have to do is to put the cloth between your lips and press your lips softly for one to two time or until you get the required shade you are after.This is especially great if you are trying on a neon shade and don’t know how to apply it properly. Or, you apply more lipstick and do the same thing all over again to get the shade you want. 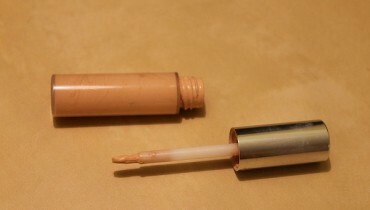 If required, put on a layer of lip balm about 15-20 minutes before and let it soak in, if you have dry lips, to soften them and to make sure the lipstick will not sink into the dry cracks of the lips, and making the dry cracks stand out.Also, if you have very dry lips and have dry skin on them, you should take a scrub and wash your lips with the scrub before applying it. Why is Makeup Bad for You?